In this episode: Janet is joined by Dr. Meghan Owenz and her husband Adam to discuss some of the truths and misconceptions about children and screens. Meghan is a university professor teaching classes on counseling and infant and child development. She and Adam write about the latest research on their website ScreenFreeParenting and present a host of screen-free alternatives to keep children engaged and learning. Hi. 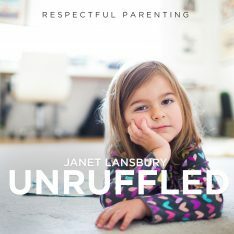 This is Janet Lansbury and welcome to Unruffled. Today I’m very excited because I have some special guests. Now most of my listeners realize that I usually am just me, myself and I here and that’s very convenient for me in terms of recording these podcasts and other things that I’m doing. It’s nice, but it’s very lonely. I’m thrilled to have some exceptional guests with me today, Dr. Megan Owens and her husband Adam. Dr. Owens is a psychologist and an adjunct professor at Florida International University and Penn State University. She teaches classes on counseling and infant and child development. She writes and speaks about delaying screen time introduction. She and Adam run a website called Screenfreeparenting.com, which provides current research on screens and a host of screen free alternatives to keep kids engaged and learning. They are also the proud parents of two screen free kids aged one and four. Welcome Megan and Adam. Dr. Megan Owens: Thank you so much for having us Janet. Adam Owens: Thanks for having us Janet. Janet Lansbury: I would love to know first of all what led to this focus on screen use and helping parents with their children’s screen use? Dr. Megan Owens: Oh, that’s a big question. I think I often get pulled into doing things, teaching classes or writing, and I feel a strong because I’m either frustrated or angry about something. I was rather frustrated with the over abundance of applications, programs, games that are making a great deal of money of off the very young set, zero to three, zero to five, that is in contrast to the research that shows that those things are not necessarily good for that age range. I’m never going to be as flashy or as interesting at Netflix or Hulu or YouTube but I wanted to provide a place for parents to access some research about young children and screens and also access some ideas, which are really the basics of what really helps young children achieve the things that parents are hoping they will. My general thesis is that the majority of reasons that parents of young children turn to screen if they want to help their child with language or attention. Screens actually hinder those abilities. I wanted to counter culture a voice to that. Janet Lansbury: Oh, that’s a passion of mine as well. Can you talk about some of the specifics in the research? Dr. Megan Owens: Sure. How long do you have? I like to talk about five general areas that screens are not helpful for. The first of which is sleep. We have meta analyses of hundreds of studies that show screen time is associated with a later bedtime, less sleep, and more night wakings. The second of which is obesity, which has long term relationship into adulthood with obesity. Then the ones I get really passionate about are attention span, language abilities, and children’s emotional control and aggression. Those are the research studies that I think are really interesting. For example, each hour of screen time before three is associated with a 10% increase in attention and behavioral problems when the children are school aged. Each hour of educational baby videos, DVDs, is associated with six to eight fewer words in those babies even though the videos are designed to teach those words. The research is really kind of clear for very young children that they don’t learn a great deal from screens even though that’s often the parent’s hope, understandably so, because that’s what advertised to them. 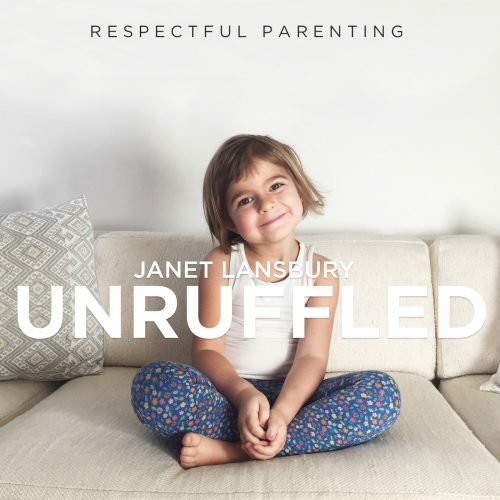 Janet Lansbury: Do you think that’s the main reason that parents use screens or do you think it’s more about wanting to occupy our children when we want to do other things and take a break from parenting? Do you see more parents wanting to do it for educational reasons and for development reasons or do you see that it’s really more about babysitting or taking care of the child? Dr. Megan Owens: I think that it’s probably both or there’s a mix or it depends on the individual parent’s motivation. What I think is really interesting the need that we feel as parents to entertain our children all the time and how I believe that results in children being less capable of entertaining themselves later on. If every time I need to make dinner or I need to take a shower, for example, I turn to a screen because I can’t have my attention on my child at that time. I’m doing it because “need a break” or I have to focus on something else. However, I’m making it less likely that my child’s going to be able to independently play and entertain themselves later on. This is a skill that children develop naturally over time and they’re able to play independently for increasingly long periods of time the older they get, but if you interrupt that by saying I’m not going to pay attention to you so here’s an app or here’s a program, you’re not giving them any exposure to be able to deal with maybe the initial boredom or the initial frustration that might come up when they’re not the center of your attention. Janet Lansbury: Absolutely. I agree with that 100%. I work with parents that are having all those kids of issues. It’s so interesting and I guess ironic and really unfortunate for all of us parents that what we think is gonna help actually makes our life and job harder and makes it harder for our children out there. Yes, we deserve breaks. We deserve to have children that can occupy themselves. Screens are not the way to do that. I fiercely agree with you in that. I’m wondering, has there been any research about the other end of the spectrum? Because I’ve sort of done my own observational research with my own children and children that I’ve worked with. Maybe it might help parents more if we can focus on all the positives that happen when they do wait to introduce screens and they do introduce them very gradually and thoughtfully. Janet Lansbury: Is there any research about that? Because I’ll share some of my own with three children that are very different children, but I would love to hear if there’s research. Dr. Megan Owens: Psychologists don’t do pediatricians … We haven’t historically done a lot of research on when things are going well. Positive psychology, which is a new movement to try to do more research on those things but the majority of the research is on the negative outcomes. That’s a shame because we know from a behavioral standpoint, we would do much better to tell parents things that they can do instead. Everybody would be prefer to be told, “Hey, here’s this great thing you can do,” versus, “Here’s this terrible thing and you need to stop doing it.” We don’t like to be told not to do things. Our children don’t like it and we as adults don’t like either. No, I’m not familiar with research studies that look at children whose screen time introduction has been delayed and the positive outcomes that might be associated with although, Adam and I both feel that the benefits to our two children are immense like you do for yours. Janet Lansbury: You’re already seeing that at age one and four? Adam Owens: Yeah. It was for me, real interesting because I was kind of skeptical of the whole experiment in the beginning. I grew up watching television. I had a television in my room. It was definitely when Megan said, “Let’s try this.” All the research shoes that this is the right thing to do even though you never hear about it in mainstream media. It really started to make an impression upon me when we saw our daughter’s attention span and her interest in stuff that I wouldn’t consider someone of her age to be interested in and her interest in books and just general life curiosity. That has been awesome and it’s kind of what kept us going because we started out shooting for the two year recommendation that the American Academy of Pediatrics shoots for with no screens before age two. Then it was like wow this is going so great, let’s keep it going. Then she was about three when we started to think about maybe we should try to share this with the world because it seems like we could help some people and it’s kind of interesting. It’s one of those things. Everyone has one or two or three kids and every child is different. It’s hard to know, you can’t have a control group where you put one kid in a closet with an iPad, you let one out to explore the world, and see what happens later. Adam Owens: I think that’d be really interesting. There’s a lot of research I know that does show some positive outcomes from different things that people have done around screens but I can’t recall any of them offhand. Dr. Megan Owens: Usually it’s screen limiting. When parents limit the screen time or when parents use screen time as a way to bond as a family so participate in screen time activities together like a family movie night. Co watching screens is much more beneficial than a child individually watching a screen. We do know the research about these things that children do naturally like being outside is a associated with better sleep. It’s associated with better mood. It’s associated with increased attention. If screens are taking away from being outside and these positive outcomes are associated with being outside, it would make sense that children who spend less time on screens and more time outside would be doing better. Janet Lansbury: I also agree with and appreciate what you said about children developing this ability to entertain themselves and learn through their play and use their play as self therapy, learning all kinds of complicated things, higher learning skills, social skills, self regulation. One of the things that I work with parents on is how to nurture this from birth. I believe children, not only are they able to develop it, but they’re actually born with this. I see it as our job to protect that ability to come up with ideas to do things that interest you and with an infant that might look like they’re looking over here in this corner and let’s not interrupt her. She’s doing something that’s meaningful to her right now. In between all the times with infants when they’re uncomfortable adapting to this new environment. There are those moments in between and if we can notice those and appreciate those and build on that, what I see in my children and all the children I work with, an infant that’s just a few months old can “play” for half an hour, 45 minutes, even an hour. It’s definitely something they are able to do if we don’t get in their way and we don’t get into entertaining them, which is what I was doing at first with my first child before I discovered Magda Gerber’s approach. I thought that was job to keep her occupied, keep her busy, and that does lead directly to TV, which luckily I stopped and kind of figured it all before that because unlike you Adam, my experience with TV growing up I never like it. It always reminded me of being sick. That’s when I would watch it or Saturday morning cartoons. It’s all sunny and nice outside here in southern California and here we are in front of a TV and I just all dirty and icky. It wasn’t in my aesthetic that I wanted to have that in my life but I was definitely heading that direction with my oldest daughter because I thought that that’s what I was supposed to do. That is actually what got me into all my work that I’m doing now, is that I discovered play was an inborn ability and that it was such a gift for parents, not only in terms of enjoying our child and learning about our child through observing them but also because yeah, you get to have perks in your day that you really enjoy watching your child and then you get to have time away from them because they don’t depend on you for these things that they are able to do themselves. Just touching really briefly on my own observational anecdotal research with my children who are a lot older than yours. They’re 23, 19, and 14. They’re very different children in their capabilities for different subjects. They’re three unique children. They all have an ability to absorb and retain what is taught to them or what they’re learning. They don’t have to study very hard for tests. They remember what they were exposed to. I believe that they absorb things in a deep way because they have not been desensitized and used to tuning out a lot of the stimulation that’s coming at them. It does make for awkward moments when they’re more afraid of the character at Disneyland at an older age than another child may be or that you can’t send them to the birthday party where they’re all watching a movie that might disturb your child. There are some awkward moments in the beginning but what I always tell parents is sensitive is good. Dr. Megan Owens: -The positives. Janet Lansbury: Yeah. Just stay on this path to encourage parents. Adam Owens: It’s not the popular path either. There’s no marketing behind it. Adam Owens: There might be us posting something to Facebook and then we’re competing against millions of dollars of advertising revenue for children’s shows and children’s apps. Dr. Megan Owens: Right. What I think is so interesting with very young children is that in the 1970s, the average age that a child starting regularly utilizing a screen was about four and a half. Now in the early, I think was 2012, was the research study that was done found that the average age of regular use of a screen was four months. These babies are not asking for the screen, right? They’re developing this screen habit so to speak before they’re even really aware of what a screen is. That can be rather overstimulating and there’s a lot of brain development that is going on in your little two year old’s head in terms of their prefrontal cortex for attention, planning. I thought of that when you talked about how your children study and how their attention, their focus, their impulse control sustained attention on a topic and their recall for that seem to be better to you. This is a huge uncontrolled social experiment that we all subject children to screens before they know what they are and what they’re asking for. It would make sense that that would have some impact on brain development and how they see the rest of the world if they’re seeing the world through a screen first. Adam Owens: Yeah. One thing too, for me, the biggest piece is the displacement piece because research shows that under age three, the average TV time per day is 5.5 hours in the U.S.
Dr. Megan Owens: I think it’s under five, 4.5 hours. Adam Owens: 4.5 hours. When you’re thinking about how much sleep a child under three is getting, how much awake time they actually have, and you’re going to spend, let’s just say it’s even a third of it on a screen, their brains aren’t made to develop that way. They’re missing out on something by doing that for them. I mean there’s the displacement piece but there’s also the attention span, all that. There’s no downside to not doing it. Dr. Megan Owens: Right. Right. Janet, you mentioned something else in terms of your children’s fear a little bit later. I think that’s such an important piece because while they may not have a cognitively sophisticated way of expressing it, young children are scared of the things that they see on screens. Some research shows that even when there’s supposed to be a pro social message … I’ll show a little bit of my bias here and talk about a Disney movie for example. Theoretically in Beauty and the Beast, there’s supposed to be a pro social message. What it is, is even difficult for adults to ascertain. Maybe it’s not judging people by their appearance or not being a misogynist. 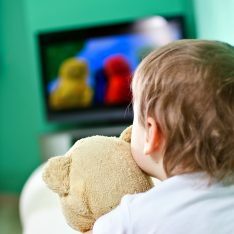 When children watch something with a pro social message that still have conflict, they’re more likely to exhibit negative behaviors afterwards. The reason why people think that is the case is that they don’t understand the difference between fantasy and reality and from a very basic function, children need to pay attention to the things that are threatening to them. When there’s violence or there’s conflict, they pay attention to that and that’s what they remember. Sesame Street, there was an example where there was a conflict over sharing. The children remembered there was a conflict over sharing but they didn’t remember what the resolution was. These are real characters. This is real conflict, real violence that’s happening, and their brain is telling them this is a bit of a threat and we need to pay attention to this. Protecting your children from that for an extended period of time, delaying that until they totally understand that this is fantasy and they have their family values set before they start looking at those things, I think, makes a lot of sense. 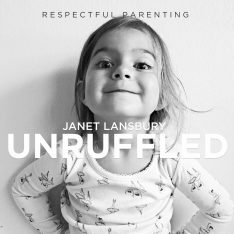 Janet Lansbury: I think another reason that they act on the violence that they see or are more affected by that is that children have such a wonderful deep need to understand their environment, understand the objects. That’s why Magda Gerber always encouraged really basic toys, not toys that you push a button and it does a bunch of things. That kind of discourages children from this wonderful curiosity that they have to figure everything out and master it. I believe or I’m guessing that might be part of the reason children will act out of the violent part. It’s like they need to process that. They need to understand, why do people do this? Where is this coming from? What does it feel like? What does that person feel like? t’s all this wonderful learning ability that they have but it’s needing to be used to try to sort through something they can’t really understand yet. You’ll see children, maybe they’re out on the street with their parents and they see somebody yelling at somebody or something that goes on and you’ll see them needing to talk that out again and again with their parents. If they barely have the words, they want to keep asking about it. It’s like I’m trying to work through this. I’m trying to figure this out. I can imagine when they see things that are really so inappropriate on screen and just the speed of it all and the amount of it and the overwhelming nature of all of it, it’s not real life. Dr. Megan Owens: -Researchers actually talk about Mr. Rogers. Mr. Rogers isn’t associated with the negative impacts of attention and aggression that we’ve touched on a little bit so far. Researchers talk about Mr. Rogers as actually being slow motion inventor of reality because he walks into a restaurant very casually and slowly and he explains what the silverware is and there’s not conflict. There’s the opportunity for children to actually understand what’s happening and for the children to get bored with the screen and move on and do something else. It’s not shifting and changing. The screen is not shifting and changing so quickly that they’re over stimulated by it and can’t possibly pull themselves away from it. Janet Lansbury: Right. They’re so drawn in. I wrote about it in one of my posts. I noticed how drawn in I am. I mean I don’t watch TV and it was pathetic last night because I was trying to watch the debate and I don’t even know how to turn our TV on. There are three different things that I have to push. Anyway, I know, I’m strange. Dr. Megan Owens: You’re in good company here. Adam Owens: It’s so much like our modern processed food. It’s like there’s so much technology that goes into the products that we consume both food and media. Mr. Rogers probably produced and put out there without any testing whereas all the shows and things that are being tested, like a Netflix show for example, those are addicting because they’ve been scientifically engineering to be addicting media. Adam Owens: The same thing’s done for our kids and our kids are completely helpless to it. If we’re watching a show, we watch TV every once in a while after the kids go to bed, it’s like I don’t even want to start a series because I know it’s been engineered for me to want to keep watching. I don’t want to get pulled in. I can try and make that conscious decision but poor kids can’t. Dr. Megan Owens: Yeah. What the American Academy of Pediatrics came out with another recent statement. It was about violence and media. They said that children under eight shouldn’t see any violent media. That includes violence or conflict that’s presented in a comedic fashion, for example in a cartoon. I think parents think, yes of course, I’m gonna turn off the news around my young child, but not realizing that violence in a Disney movie or violence on a cartoon or a program like that has a really big impact on children. Like you talked about, they feel the need to rehearse that and that’s why if a child watches a feature length film, they “play” that film. They rehearse that film for a very, very long period of time. They’re trying to figure out what is happening. That play is not quite as elaborate or involving the executive functioning in their brain as when they have to create their own roles and their own rules and their own little world. That’s a totally different way of engaging your brain than versus I saw this and it was kind of overwhelming and I didn’t really understand it so I’m just going to keep playing it until I can make some sense of it with a variety of playmates and by myself and with my parents and try to understand what it was that went on. Janet Lansbury: Right. I have to master this instead of building a tower. Dr. Megan Owens: Right. Yeah Magda was so right. I’d be so interested to hear what she would say about television. Research confirms what she says about toys, that the best toys are like 90% kid, 10% toy. When there’s electronic toys, kids play with it in a much more restricted fashion because they feel the need to play with it the way the toy is designed and they can’t fly their own thoughts or processes or skills and whatever it is that they’re working in that’s important to them in that moment. Janet Lansbury: Yes. She recommended not introducing any kind of movie or anything until school age, meaning I guess kindergarten age. introducing it until later and then being very careful, especially if we’ve raised them to be sensitive and aware of their environment and tuned in. They’re going to be tuned in to whatever we show them and to be careful around that. This is all great. I feel like I could talk about this subject all day. I’ve always been fascinated by Jane Healy’s books. A book I just really couldn’t put down was her book Endangered Minds and I relate to it so much. This is a conversation I want to keep having, so maybe you’ll come on again? Dr. Megan Owens: Yeah. I mean we have the whole bit. We talk about two things, which one is all the negative things about screens and then what I’m attempting to do is have a more positive spin on it, which is all of the positive things that are good for child development that parents or children can naturally do. We talk about it as the spoil system, so social activities, play, outdoor activities, independent “work” or tasks that children feel very accomplished and draw to, and literacy. Those are sort of the two things that we tend to write about and try to contrast that these things that you naturally see your child drawn to and that you’re naturally drawn to as a parent are far superior to these engineered screens that you’re hoping will help those things. Adam Owens: I think that’s really why I pushed Meghan to really do the website was because there really was no place for all the facts. Some of the facts just never hit mainstream media. There’s some really interesting studies out there that show some pretty scary stuff that just gets swept aside by the slip stream of content that’s constantly coming out. We wanted to create a place where people could go to get that information, but also get tactics and ideas for keeping their kids on track. Dr. Megan Owens: Yeah. We offer five activities every week. They’re very basic activities like make a ladybug habitat and watch how the ladybug plays on the leaves, go for a child directed walk, that sort of thing. Adam Owens: It’s literally just stuff we did that week. Dr. Megan Owens: We would love to talk with you more about any of these things at any time. It’s really fun to connect around these issues. Janet Lansbury: Well, you have a new subscriber here. Screenfreeparenting.com. Everybody check it out. I noticed also that you recommend certain books on tape or listening tapes, which is something that I also recommend for those down times when children don’t have as much energy to create their own play, late in the afternoon. I would go to that before using a screen. Dr. Megan Owens: Absolutely. There’s dial a story, there’s books on CD, there’s times I just encouraged parents to set it up in a fashion that’s not on a screen that the child isn’t pulled to be clicking and pushing. We use old school CDs or tape and our daughter just loves that. Adam Owens: Oh my God. The library, I feel like we have frequent flyer miles there because I call and we’re on a first name basis with the librarians because we’re always renewing the 30 books that we check out. Dr. Megan Owens: Right. Right. Adam Owens: We get audio books for the kids. My daughter has a CD boombox in her room and we gave her all of her appropriate CDs that used to be ours when we were younger. She loves those and then she’s always putting in different CD stories and things. It’s kind of cool because she can’t fall down the rabbit hole with an iPod or something like that where it could do so much more. Adam Owens: It’s like she’s safe in there. I know she’s got Curious George and a bunch of other stories that are totally safe for her and age appropriate. She just loves it. In fact, she doesn’t nap now. Janet Lansbury: Uh oh. I was gonna say, she’s not waking up in the night turning it on, is she? Dr. Megan Owens: No, no. Adam Owens: She’s actually pretty good about that. Dr. Megan Owens: Thankfully. Yeah I mean she’s aged out of naps but it’s a wonderful time for her to have sort of a little rest period. That definitely does seem to rejuvenate her. Janet Lansbury: Yes. Even those I’ve noticed, it’s like one step more intense for children than reading to hear it on tape. I feel like they have a little less control over that. If there’s something dramatic in that story, it affects them more than if we read it them in a book. I don’t know. It’s just really interesting. Dr. Megan Owens: It’s so true. We kind of just follow her lead with everything but with books as well. I read to her the first Harry Potter. Naturally as a parent you kind of do a little editing when you’re reading. I probably did that without even noticing at parts that I wanted to edit a little bit. Then they had Harry Potter on CD and she really wanted that from the library. I said, “Okay, we’ll pick that up. You can listen to it in the car.” We all agreed that after the first 30 minutes or so that she listened to that she really couldn’t because she got scared by it. Listening to my voice at my pace where we could stop and talk about things versus hearing it is more overwhelming for a young child. Certainly you add the screen element to it, it’s significantly more overwhelming to try to make sense of those pictures. Yeah. I totally agree with you that the audio can be more intense at times. Janet Lansbury: Do the studies you’ve looked at also agree with Jane Healy in that the screen actually causes children to mostly focus on the visuals and not even really listen? So actually decreases their ability to listen because they get used to the seeing. The visuals take over. Dr. Megan Owens: Absolutely. For example, there’s a research study on Clifford the Big Red Dog. There’s like a 10 minute episode about involving others and accepting people with disabilities and it focused on a three legged dog. The kids were initially kind of excluding this dog and mean to this dog and scared they were going to get sick from this dog. Then at the end, they all became friends and it was this message of inclusion. Well, they showed it to five years old, which is an older young child if we’re talking about young children. The children demonstrated more likely to have negative attitudes towards somebody with a disability after watching the show than before watching the show because they’re watching the visual. Nine minutes of visuals showed children backing away from the dog, having a fearful response, and children are gonna pay a lot of attention that fearful response. That cues their brain that something’s really sealing it. The last minute where they talked about inclusion can’t make up for that nine minutes of visuals of exclusion and fear. Janet Lansbury: Thank you so much for sharing all your knowledge and your studies and sharing this passion with me that you have for this work. I hope this podcast has been helpful to listeners. Thank you once again, Meghan and Adam, for joining me today. You can get more information on screens at their website Screenfreeparenting.com. Also, please check out some of my other podcasts. They’re on iTunes, SoundCloud, or Stitcher. Both of my books, which don’t specifically talk about screens but they present a screen free approach to parenting. Elevating Child Care and No Bad Kids. They’re available on Amazon.com and on Audible and in Ebook, Barnes & Noble, and Apple.com. Thank you so much for listening. We can do this.